The University Staff Doctorate Programme (USDP) is a programme by the South African Department of Higher Education (DHET) to develop university staff in South Africa. The USDP project in ‘Climate risk, resilience, and sustainable development’ includes the University of Cape Town, University of Fort Hare and University of Venda from South Africa, and the University of Arizona and Penn State University from the United States. 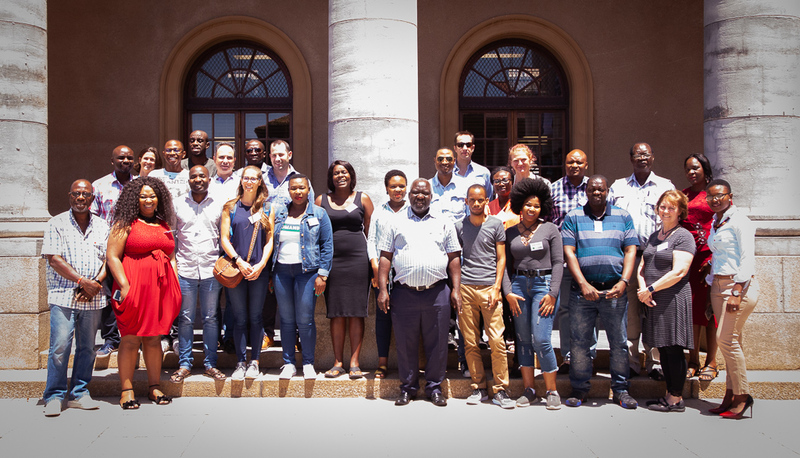 The project will support 10 high calibre staff from the South African partners to obtain PhDs in fields related to climate risk, resilience and sustainable development, and applied to a South African context. In addition to the annual summer school, the scholars will each spend up to a semester abroad at one of the US partners to attend courses, conferences or gain additional supervision. The overarching purpose of the Summer School programme was to ensure the quality of research in topics relating to climate risk, resilience and sustainable development is of international standard. The programme intends to introduce PhD scholars to climate change, complex-problems, and transdisciplinary research, as well as to provide support and information for embarking on the journey of a PhD in the context of an academic career track in South Africa. The Summer School was also a chance for USDP scholars to meet potential co-supervisors and their peers in the programme from the three universities. The USDP Summer School will run every year for three years (2019, 2020 and 2021). It intends to ‘scaffold’ each year and to build on issues pertinent to a PhD scholar’s research journey. The first Summer School focused on complex systems, inter- and transdisciplinary research, integrating climate change and sustainability considerations in a research question, proposal writing , stakeholder engagement, literature reviews, ethics, and student supervisor relationships. Thanks too to our project team, Dr Nthaduleni Nethengwe and Hector Chikoore (University of Venda), and Dr Leocadia Zhou (University of Fort Hare) for their talks and facilitation. The summer school was also attended by the supervisors of our USDP cohort, who enriched the discussions with expertise, advice and experience. Thank you to Dr Ahmed Mukalazi Kalumba, Prof John Ogony Odiyo (UNIVEN), Prof Jason Ogola (UNIVEN), Dr Amon Tavuringa (UFH), Dr Shehu Folaranmi Gbolahan Yusuf (UFH). A few UCT PhD students and prospective PhD students were also in attendance.